Looking for a change of scenery, I headed out to Purcellville, Va., this weekend. It was about an hour and twenty minute drive from Arlington, mostly on the scenic Dulles Greenway and Route 7 West. I met up with a friend to stroll with our pups down Main Street and do some window-shopping in the boutiques and antique stores. 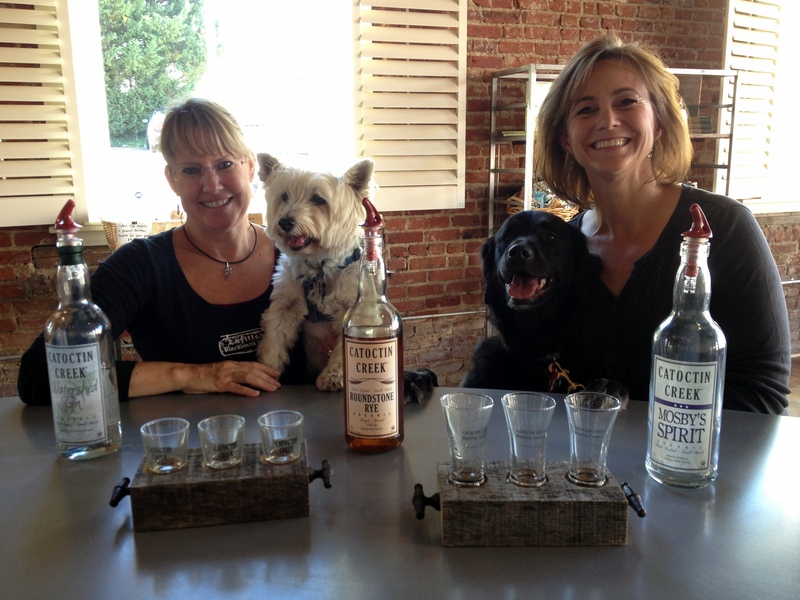 Our ultimate destination, however, was the dog-friendly Catoctin Creek Distilling Company. The pups were welcome inside the tasting room, where we bellied up to the bar to sample some of their small batch, handcrafted whisky, gin and brandy. You can choose to sample either straight alcohol in shot glasses, or cocktail samplers. 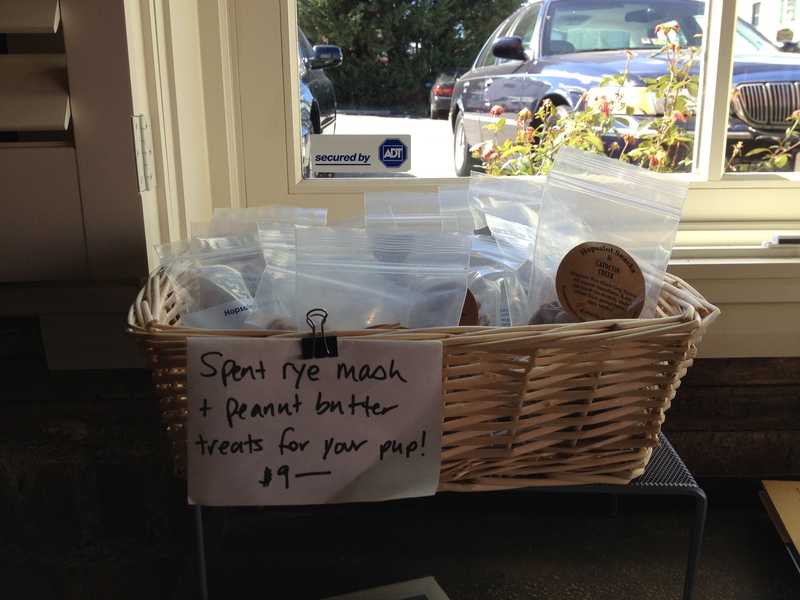 They also cater to the canine crowd with spent rye mash and peanut butter dog treats. We sampled Mosby’s Spirit white rye whisky, Roundstone Rye whisky, and Watershed Gin. For the cocktail samplers, first we had the Honey Cake, a refreshing mix of rye, honey, mulling spices and orange juice that would make a great holiday cocktail. It was followed by the Colonel Langdon with rye, lemon juice, maple syrup and seltzer. Sounds too sweet, but the seltzer nicely lightens it. Finally, the best of the bunch was the Pumpkin Gin Fizz with gin, pumpkin puree, lemon juice, simple syrup and ginger ale. The staff was extremely welcoming of the dogs, giving them treats and petting Sundae when she stood to put her paws on the bar. Even all the other patrons were happy to see the pups and talk about their own dogs. The distillery offers tours and tastings seven days a week, and you can often see the distilling equipment in operation, it’s right next to the tasting room. 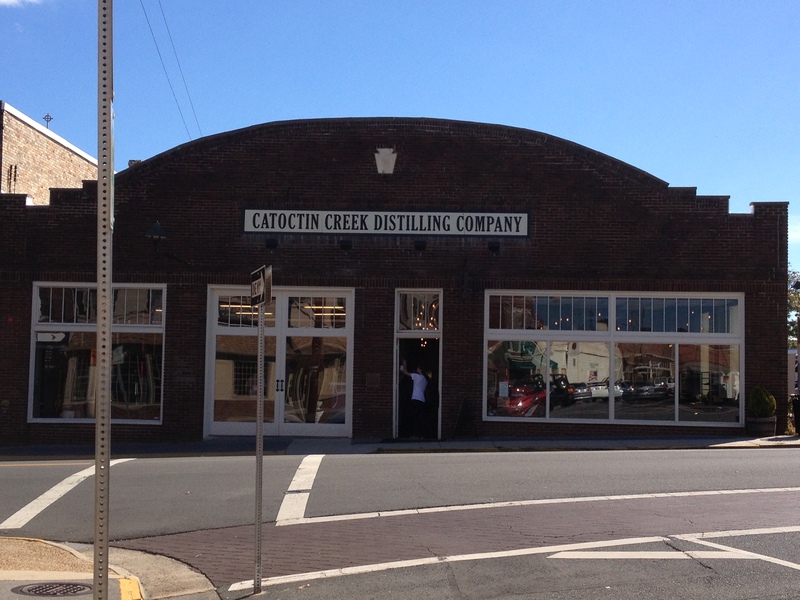 Catoctin Creek Distillery is at 120 West Main St., Purcellville, VA 20132.